Go on a ranch tour! Visit Niman Ranch’s latest project, BN Ranch, and also stop by Devil’s Gulch. Ticket price includes lunch, reimbursement for gas for those who drive for the carpool and the opportunity to meet the amazing ranchers that are changing our world. Bill Niman is a pretty famous name around here for his beef production. His latest project, under the BN Ranch name, has shifted his focus on maturing beef to enhance flavor and texture. They are a grass based ranch that raises totally pasture raised cattle, heritage turkeys, and (sometimes) goats. They never use pesticides, herbicides, or artificial fertilizers on our land. They use no irrigation, ground water or municipal water. They never use hormones on their animals and never feed antibiotics or any other drugs to their animals. 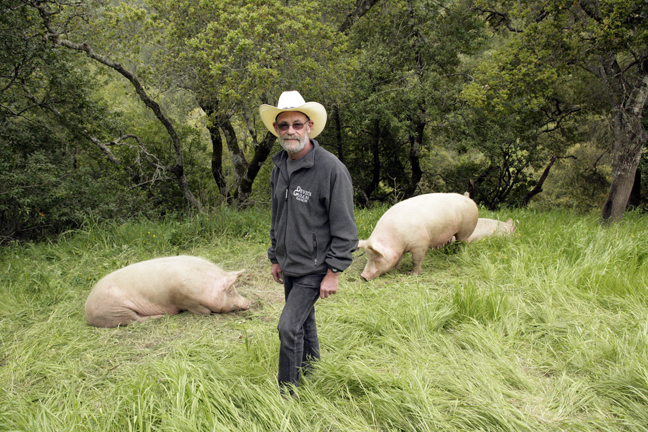 Devil’s Gulch Ranch, a diversified family farm located in Nicasio, Marin County, within California’s North Coast region, produces rabbits, pigs, sheep, premium wine grapes and and asparagus for retail customers and direct sales to high-quality restaurants. Sustainable, humane agricultural practices and organic farming are utilized whenever possible. Go here to get tickets, and read more about it here.